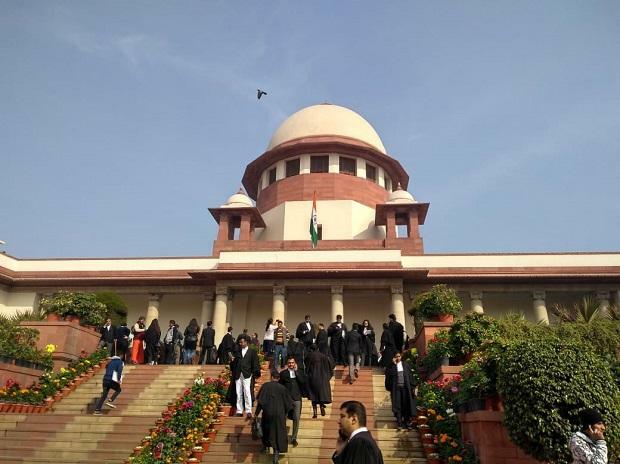 In a significant move ahead of the Lok Sabha polls, the Centre Tuesday moved the Supreme Court seeking modification of its 2003 order to allow it to return to original owners the 67.390 acres of "non-disputed" acquired land around the disputed Ram Janambhoomi Babri Masjid structure in Ayodhya. The 0.313-acre plot, on which disputed structure stood before it was demolished by the 'kar sevaks' on December 6, 1992, was within the 2.77-acre plot. The government had acquired 67.703 acres, including the 2.77 acres, through legislation in 1993. The Ram Janambhoomi Nyas (RJN) is the owner of as much as 42 acres of the acquired non-disputed land. The application filed by the BJP-led NDA government on Tuesday claimed that only 0.313 acres of land on which the disputed structure stood before the demolition was disputed portion of the land. It sought modification of the apex court order of March 31, 2003, by which the Central government was directed to maintain the "status quo" with regard to entire land including the non-disputed acquired plots. The Modi government, in its 33-page application, said that modification would enable it to determine "the exact extent of land required from out of the superfluous/ excess land to ensure that the successful party in the dispute pending regarding the 'disputed land' can have proper access to and enjoyment of rights in the disputed land." Referring to the earlier order of March 31, 2003, the Ministry of Home Affairs (MHA) said that the apex court instead of "confining the order of status quo to the disputed land" had extended the restraining order to adjacent acquired land also. The plea has said the Ram Janambhoomi Nyas (a trust to promote construction of Ram Temple) had sought the return of excess land acquired in 1991 to original owners. The central government in 1991 had acquired 67 acres of land including the disputed site. Fourteen appeals have been filed in the apex court against the 2010 Allahabad High Court judgement, delivered in four civil suits, that the 2.77 acres of land be partitioned equally among three parties -- the Sunni Waqf Board, the Nirmohi Akhara and Ram Lalla.